Q. How do I find scholarly (peer-reviewed) articles? Many research assignments require you to find and use scholarly articles. Not sure where to start? Academic Search Complete is usually a pretty good bet. Try using a subject specific database. This is especially helpful for assignments in your major. Try a helpful research guide. There is research guide for every major and there just might be a course research guide for your specific class! Ask a librarian! You can chat with us online, visit us at the help desk in the Main Library or even schedule a one-on-one research appointment. Below are a few starting tips to help you find scholarly articles in the Academic Search Complete database. Step One: Always start at EKU Libraries website to find scholarly (peer-reviewed) articles! Step Two: Click on the DATABASES link. Step Three: Don't forget about this tip. 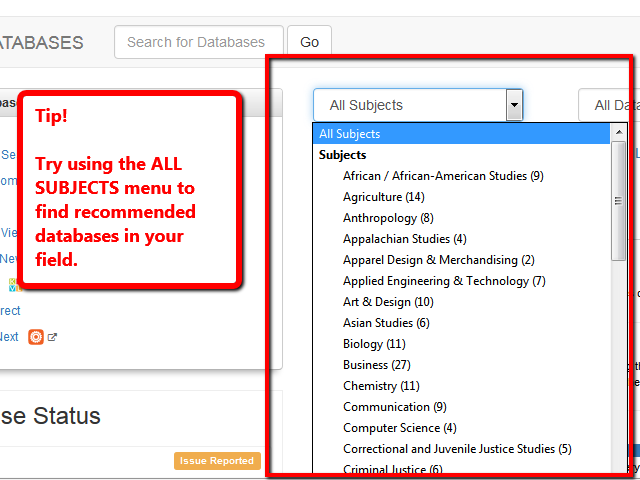 You can use the ALL SUBJECTS menu to find a list of recommended, subject specific databases in your field. Step Four: Not sure where to start? 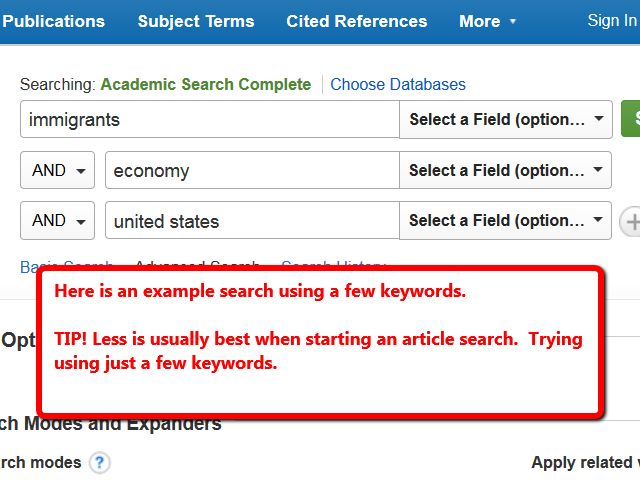 Don't forget about our other tip to try using Academic Search Complete. You'll find it located on the left under POPULAR DATABASES. 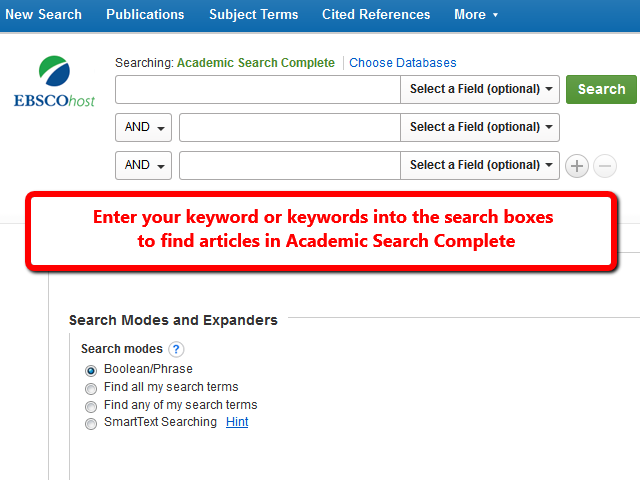 Step Five: Academic Search Complete provides you with search boxes to enter your keyword or keywords to find articles. Step Six: Enter a few keywords relevant to your search. Less is usually better when starting a search. Step Seven: Look for articles with the academic journal icon in your results list. Step Eight: You can also limit your search results to show only scholarly articles. 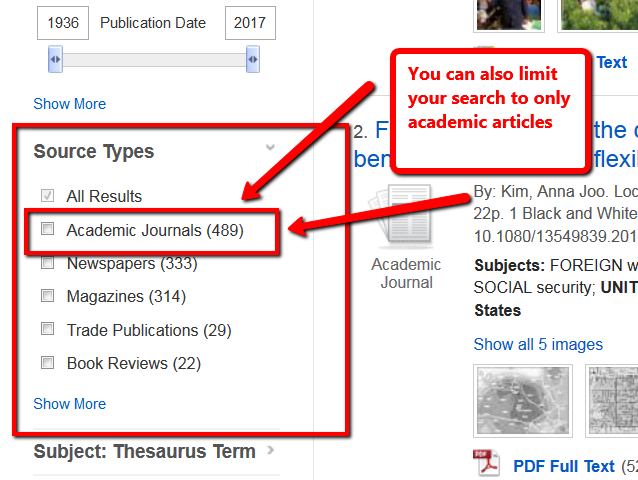 Do this by clicking on Academic Journals under Source Types on the left side of your search results.